Houston Matters talks with three local journalists about the intricacies and challenges of covering disasters like Harvey. 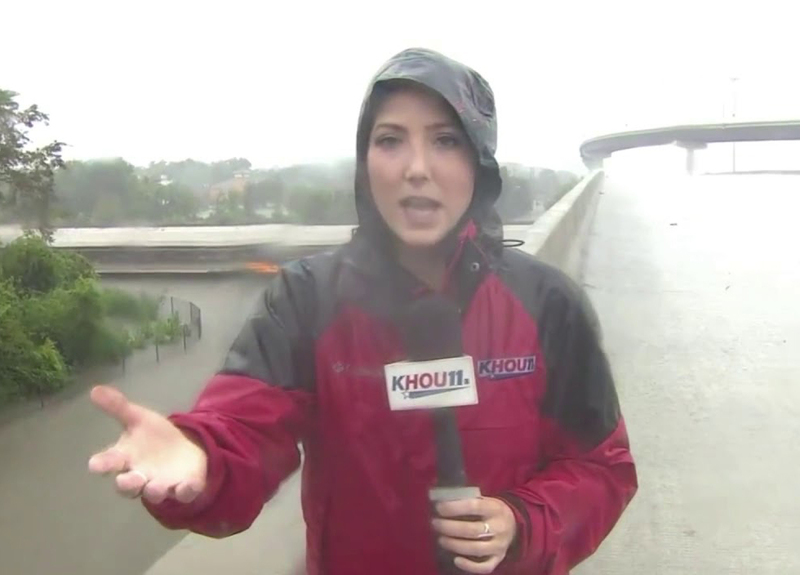 KHOU’s Brandi Smith reporting live after her station was evacuated during flooding from Harvey. As Hurricane Harvey made its path towards the Texas coast, news media outlets geared up for the long haul of heavy coverage before, during, and well after the storm. Our colleagues here at Houston Public Media worked here on campus, in the field, and even from their own homes, as the floodwaters rose, aiming to keep listeners informed about the situation. To dig into the intricacies that come with reporting on disasters like Harvey, we talk with guests associated with three media outlets from TV, radio, and print: Doug Miller, former reporter at KHOU 11; Aurora Losada, Houston Public Media’s director of digital operations; and St. John Barned-Smith, public safety reporter for the Houston Chronicle. VIDEO: Houston Public Media’s Lisa Shumate and KHOU’s Susan McEldoon share the story of how the two stations came together during Harvey to keep the public informed — even as KHOU was flooded and had to evacuate their production facility. 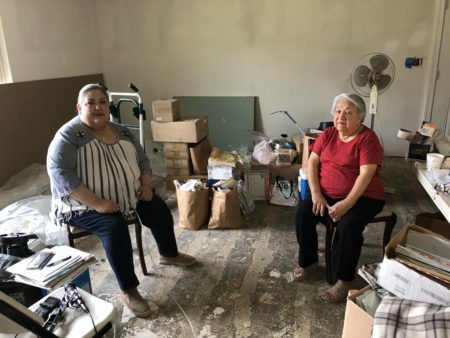 Houston Public Media's Lisa Shumate and KHOU's Susan McEldoon share the story of how the two stations came together during Hurricane Harvey to keep the public informed– even as KHOU was flooded and had to evacuate their production facility.